The Inquisition, the hunting down of autonomous believers or nonbelievers, any whose mindsets or acts did not conform to the Roman Catholic teaching, was part of medieval Central and Western Europe for centuries. Following: repercussions. See http://www.jewishvirtuallibrary.org/jsource/History/Inquisition.html. It did not expand into the Scandinavian countries or Great Britain to the same degree, but individuals and movements followed suit in their way. Levoca, Slovakia. History of women in Europe. Inquisition memorial, persecution, witchcraft, heresy. Statue: woman and child. 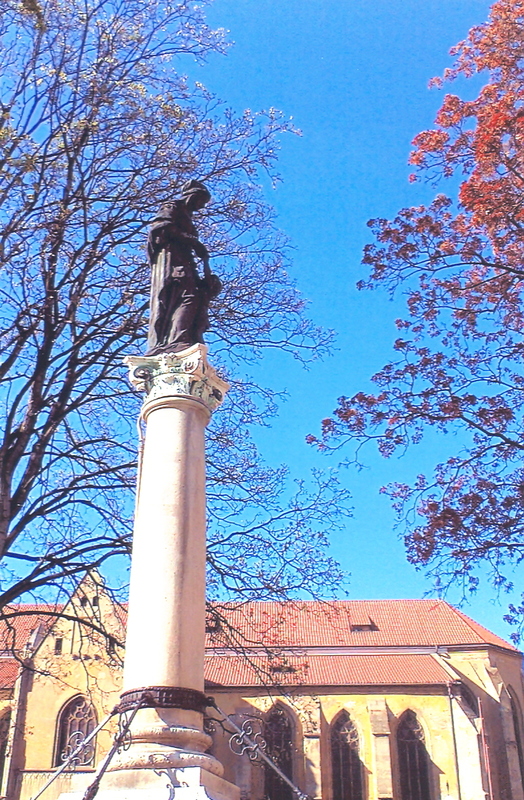 Woman and child column. Church behind. Levoca, once part of Hungary, offers a glimpse into the social and religious control mechanisms for women. This, a 16th century cage for women. 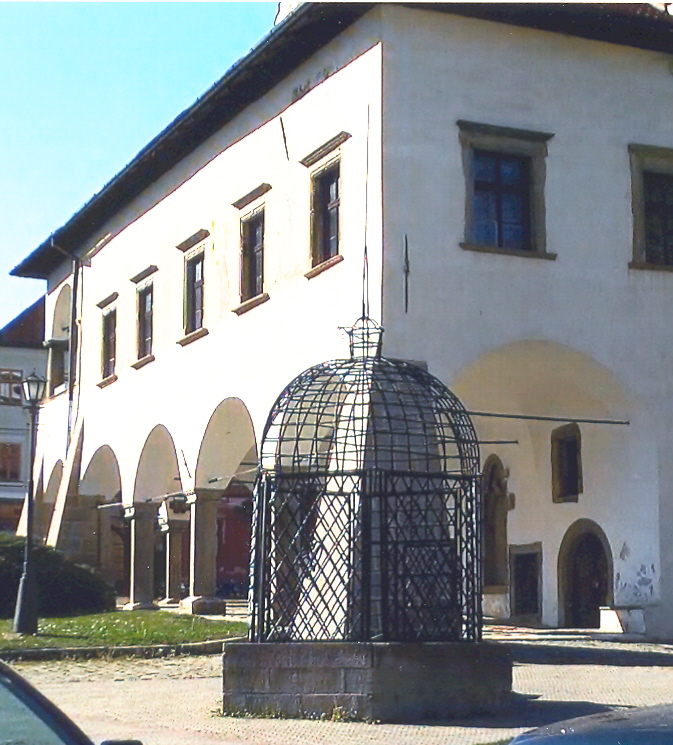 See history of Levoca at http://www.tatry.sk/en/historic-sights/levoca. Social controls over autonomy. Looking at the ease with which western and other cultures exploit women and restrict their autonomy, including through trafficking, ask how selected interpretations of ambiguous or even missing texts, and dogma, foster social power goals. Connect?